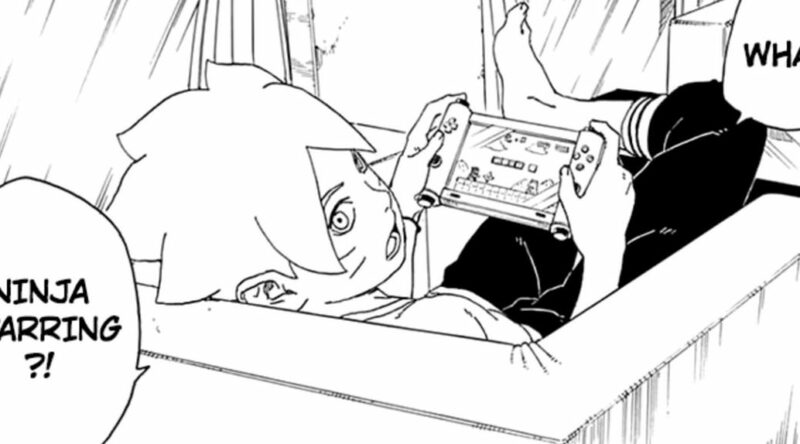 Boruto fans have spotted a console that looks like a Nintendo Switch in a recent issue of the Boruto manga. Although the game console doesn’t exactly look like a Nintendo Switch, the Joy-Con like controllers and screen sandwiched in the middle pretty much show it’s some kind of tribute to it. What do you think of this tribute?